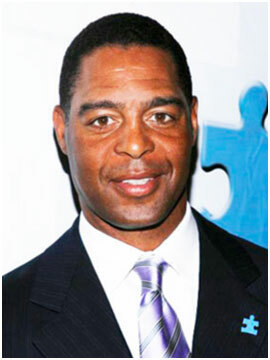 Marcus Allen won the Heisman Trophy and set 14 NCAA records at USC. In 1982 he was drafted by the Oakland Raiders and was voted Rookie of the Year. In 1984 Marcus earned the Super Bowl XVIII MVP award. He joined the Chiefs as a free agent in 1993, and made NFL history in 1995 as the first player to rush for over 10,000 yards and catch passes for 5,000 more. Marcus joined forces with Mariana Rossano in 2005 and served on her board of directors following the creation of her previous venture known as Fresh Dining. In 2009, he again played an important role in the formation of Z.E.N. Foods, and his ongoing guidance and support have been a key factor in the creation of the Z.E.N. Foods Athletes Program. His reputation as an inspirational leader on the field, and many charitable contributions off the field, make Marcus an excellent spokesperson for Z.E.N. Foods. We are very proud to have him on our team!